Antares class came into prototype form in the late 2290s. Starfleet needed a platform for a new set of active and passive sensors, a larger scale reconnaissance ship with strategic and tactical applications as well. Historically earlier sensor platforms included Monoceros class, Kestrel class and Endurance class Miranda derivative. As the sensors got bigger, so a larger platorm would be required to mount the sensors and also house the specialist staff. 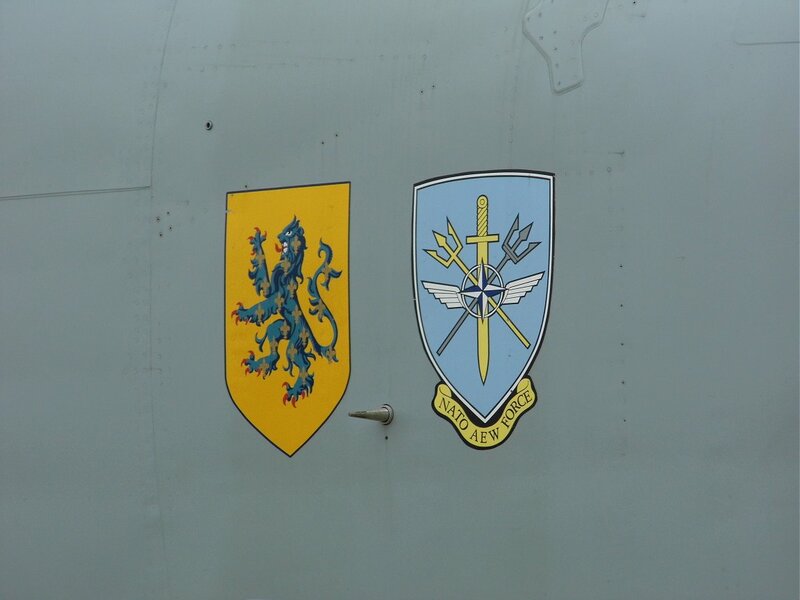 This is where Miranda came in - the science and engineering laboratories swapped for cryptography and tactical staff. With the advent of Kestrel and Phantom class superscouts in the early 2290s, with their active and passive sensors respectively, Starfleet looked to have a larger platform with both types of sensors, optomised to act as a successor command and control platform with reconnaissance capabilities. The Antares project was approved as NXP2294RC during the Starfleet Review following the signing of the Khitomer Accords on Stardate 9529. This project looked to create a reconnaissance cruiser that would be dedicated to this command and control role, rather than a science frigate seconded to the role. The Interstellar Concordium threat accelerated the programme with NX-9844 delivered in 2297. The Antares class proved to be an invaluable asset with an immediate order placed for twenty vessels and a provision for more to follow. After the conclusion of the Pacification War, the Antares class was re-tasked to border force command and control. Smugglers, pirates, traffickers, terrorists and other threats across the border of the United Federation of Planets were now the focus. As an ISR (Intelligence, Surveillance and Reconnaissance) asset, the Antares class enabled the porous frontier to be more impermeable, working in concert with Okinawa, Akula and the new Apollo class. Antares class is clearly a derivative from the Miranda class. Another quality kit-bash from the mind of Adam Buckner, creator of the Jupp and Centaur designs. The Antares clearly shows itself to be the "Starfleet AWACS" design. Starfleet looked for a platform for having a sensor ara on for both active and passive sensors. 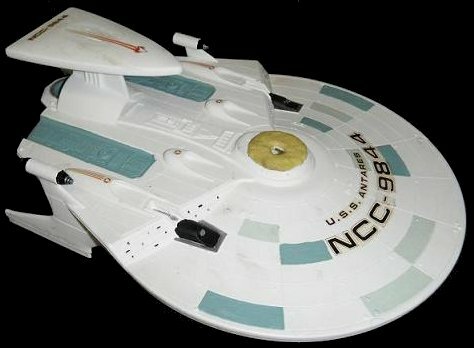 Using the Miranda class makes sense as it is an existing medium-size starship that can be readily adapted for the role. 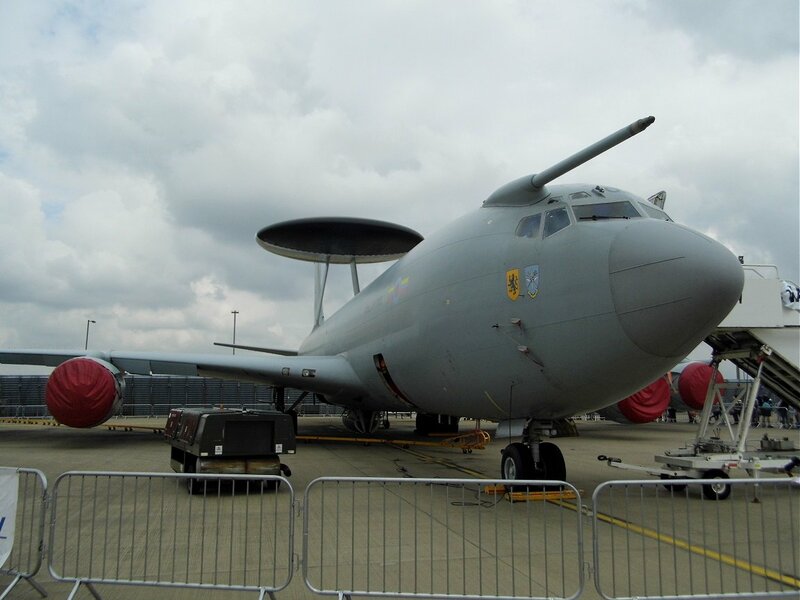 This is somewhat like a cross between many of the Royal Air Force reconnaissance aircraft: the E-3D Sentry AWACS, the Bombardier Sentinel and recently-acquired Air Seeker (known as Rivet Joint in the USAF). 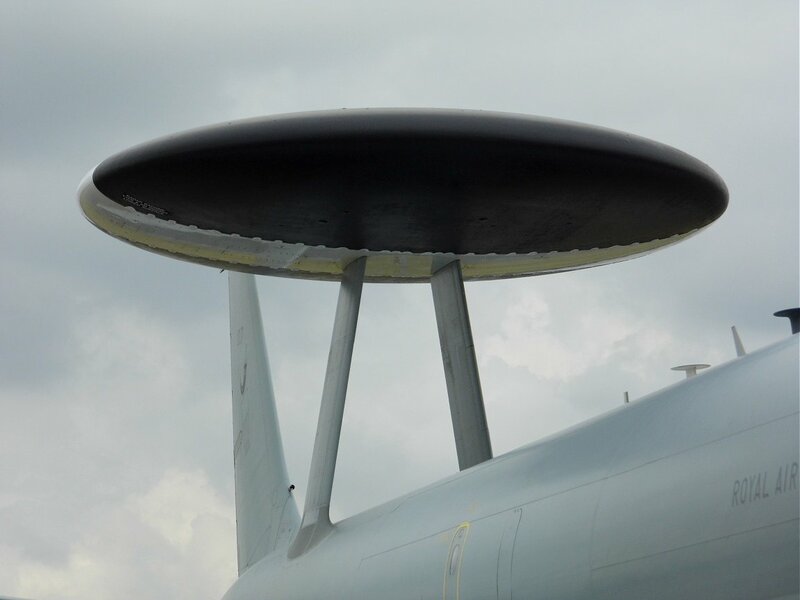 Antares class has the AWACS aspect of command and control, with these acting as a mobile radar and command post for the various frontier guardians and sensor nets. All this and the ability to detect emissions from bordering nations, allowing Starfleet Intelligence to 'listen in' on the communications along the frontier and anticipate the mood of the neighbours. And their possible future actions. It is all about gathering intelligence and being one step ahead of any possible threat. In light of this, I would argue that Starfleet put the Antares class into mass production as soon as the design was approved. That way the borders could be made less permeable and the pirates, smugglers, traffickers and terrorists could all be addressed; this would not be a popular design with the neighbours and threats.